Gerald Marwell, Richard T. Ely Professor Emeritus of sociology, died on Sunday, March 24 in New York City. He was 76. Recognized for pioneering research on social cooperation and social movements, Marwell studied topics as varied as conflict in the U.S. House of Representatives, adolescent delinquency, parental child-rearing practices, geographic obstacles to women’s academic careers and processes of religious secularization. His work led to what colleagues describe as an “unusually long and successful tenure” as editor of the American Sociological Review, the top journal in the field. Interim Chancellor David Ward enjoyed a long association with Marwell, serving with him in activities as varied as the Graduate Research Committee and coaching youth soccer. Marwell was born in Brooklyn, N.Y. on February 12, 1937, the only child of a local businessman and a history teacher. Thanks to frequent visits to Manhattan’s burgeoning countercultural scene, he developed a curiosity and lack of fear that drove his later research. Marwell entered the Massachusetts Institute of Technology with math skills and few plans. After realizing his distaste for chemical engineering, his business classes introduced him to the social sciences. Marketing fascinated him, studying the obvious and not-so-obvious reasons why people buy the items they buy. Fifty-seven years after its publication, Marwell maintained that a single study of shopping lists and instant coffee (Mason Haire’s “Projective Techniques in Marketing Research”) had more effect on his intellectual development than anything he had ever read. After earning a B.S. from MIT in 1957, Marwell received his M.A. (1959) and Ph.D. (1964) from New York University. He later spent his last scholarly years at NYU, “unretiring” in 2003 to teach at his alma mater. According to close friend Bob Hauser, Vilas Research Professor Emeritus and executive director of the Division of Behavioral and Social Sciences and Education at the National Research Council, Madison was never far from Marwell’s mind. UW-Madison was Marwell’s home for nearly 40 years, from his arrival in 1962 through his retirement in 2000. He provided key support as the sociology department became one of the top programs in the country, creating several “bread and butter” courses that served as a foundation for the department’s growth. From 1982-1985, he served as chair; he was appointed Richard T. Ely endowed chair of sociology in 1991. Marwell began his career with one of the earliest systematic studies of the American civil rights movement. Surveying volunteers for the 1965 Southern Christian Leadership Conference voter registration drive, he documented the ways in which the collision between idealism and reality pushed activists to adopt more radical views about community organization and American politics. During the 1970s, Marwell’s work on collective action helped alter the direction of research in the field. In a series of studies, he asked what conditions might drive individuals to forgo self-interest in favor of cooperation that benefits other members of a group. Additionally, he demonstrated how the presence of a “critical mass” of individuals, able to devote substantial resources to collective undertakings, deterred individuals from taking a “free ride” — thus inducing other individuals to contribute to those undertakings. In person, Marwell was boisterous, demonstrative and never shy about expressing opinions, colleagues recall. He often augmented his loud voice with deeply felt gestures. Yet Marwell’s legacy to the department hinged on his insistence that each member be heard. This collegiality often spilled down Bascom Hill to a nearby karaoke bar. On faculty birthdays and other occasions, students and faculty alike shared cringe-inducing renditions of their most treasured songs. Marwell met his wife Barbara in his first year of college; they were married for 55 years. Barbara, who received two graduate degrees from UW–Madison, had a long career as a psychologist in the Madison Metropolitan School District. She survives him, as do their children, Nicole and Evan, and four grandchildren. The Marwell family plans to hold memorial gatherings in New York and Madison within the next few months. 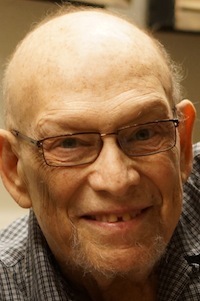 Contributions in his honor may be made to the Marwell Fund at the University of Wisconsin Foundation, established by Jerry and Barbara Marwell to support graduate training, research and recruitment in sociology.